Get £20 credit when you take out a new car insurance plan with By Miles by using our refer a friend promo code. Click ‘Get Code’ to get the voucher code and open the By Miles website. Click ‘Get a Quote’ and enter your registration plate. Enter the TroopScout promo code to apply the discount to your quote. Once you´re a customer, you can earn even more By Miles credit when you refer a friend with your unique referral promo code! Once you’re insured, by referring a friend to By Miles both you and your friend will receive more free miles credit each! Simply get your friend to add your unique discount code when they get a quote. 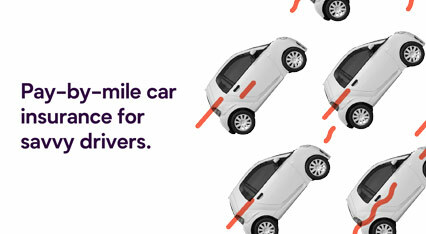 By Miles provides car insurance like no other. They like to keep things simple and work to better suit you; pay a fixed annual sum for cover when you’re parked, and every month pay only for the miles you drive! Get a quote now and start saving money on your car insurance today. See the deal provider´s website for terms and conditions.